De Beers Group recently announced that it has successfully tracked 100 high-value diamonds along the value chain during the pilot of its industry blockchain platform, marking the first time a diamond's journey has been digitally tracked from mine to retail. The platform, called Tracr™, is expected to launch later this year and will be open to the industry. When fully operational, Tracr will provide consumers with confidence that registered diamonds are natural and conflict-free, improve visibility and trust within the industry, and enhance efficiencies across the diamond value chain. Bruce Cleaver, CEO, De Beers Group, said: "The Tracr project team has demonstrated that it can successfully track a diamond through the value chain, providing asset-traceability assurance in a way that was not possible before. This is a significant breakthrough made achievable by the close engagement of the pilot participants who share our commitment to industry progress and innovation. We look forward to sharing the platform with more partners in the coming months and capturing their insights before ultimately making this technology available to the broader industry." Sevantilal Shah, Chairman of Venus Jewel, said: "Venus Jewel is proud to be one of the first partners in Tracr. Proof of provenance is a key part of Venus' promise to its customers, and Tracr will be an integral part of that promise. Participating in the pilot has been a successful experience and we look forward to continuing with the programme and supporting De Beers in raising the standard for the diamond industry." Amit Bhansali, Managing Director of Rosy Blue NV, said: "Technology has already significantly contributed to improving transparency within the diamond industry. Initiatives that use blockchain can drive this process even further, as their implementation requires collaboration and trust creation among all industry stakeholders. We are excited to be contributing to this process through our participation in the Tracr platform." As the diamonds travel along the value chain, a unique Global Diamond ID is automatically created on Tracr, which stores individual diamond attributes such as carat, colour and clarity through integration with the participants' existing record-keeping systems. To support this process-based tracking, Tracr will also be using stone images, planned outcome images and a diamond's physical properties to verify authenticity through data science and physical identification techniques. 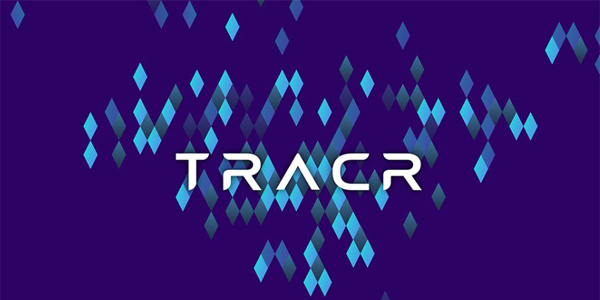 Tracr verifies the uploaded data at each key milestone of a diamond's journey - ensuring its accuracy and continuity - while enabling users to be in full control of what they share with other participants through the use of privacy controls. Visit the new website to learn more about Tracr at www.tracr.com.